Can I populate values to multiple fields based on the answer of a certain field? This is possible with the use of Update/Calculate Field condition. 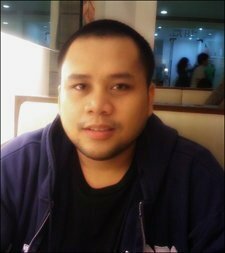 However, you will need to create a lot of conditions in order to do this. I created a demo form (https://form.jotform.com/62074327499969), please do check it. 1. Create 4 text boxes. The fields are for ID, Name, Age and Email. 2. Click the Conditions button in the Form Builder. 3. 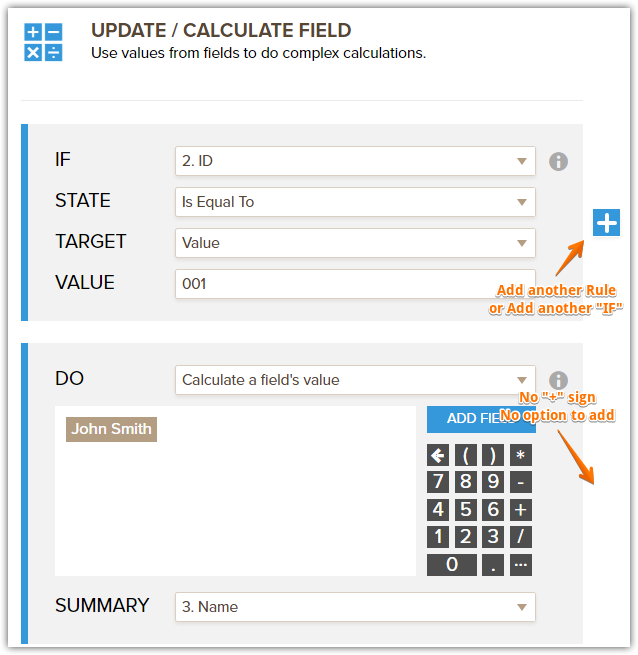 Select Update/Calculate Field condition. 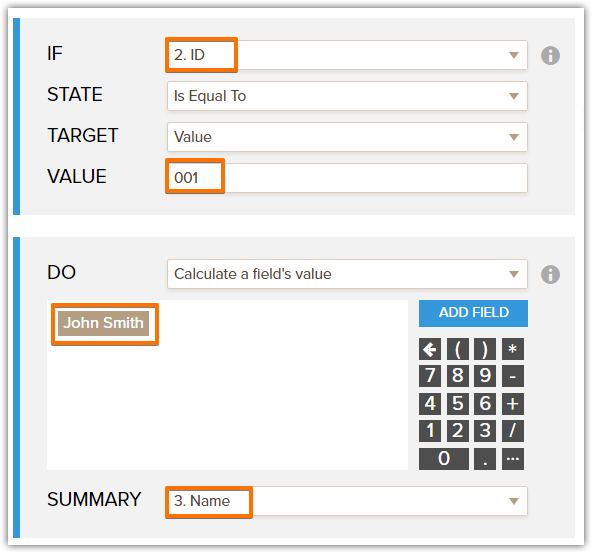 If the value of ID is equal to "001" then "John Smith" will be entered in the Name field. 5. 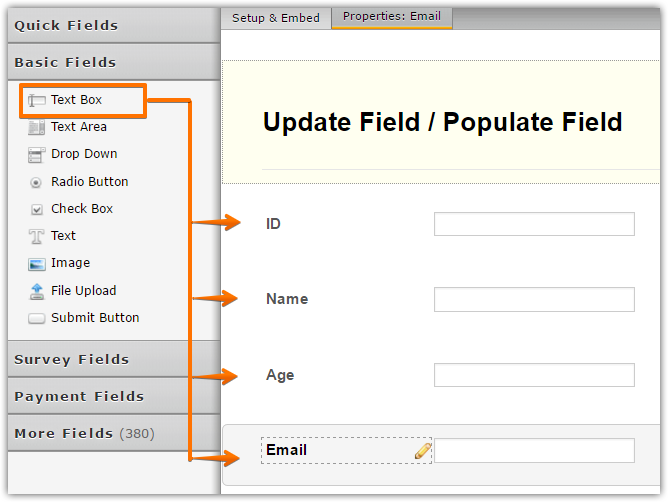 You need to create a condition for the other fields as well. If the value of ID is equal to "001" then "30" will be entered in the Age field. 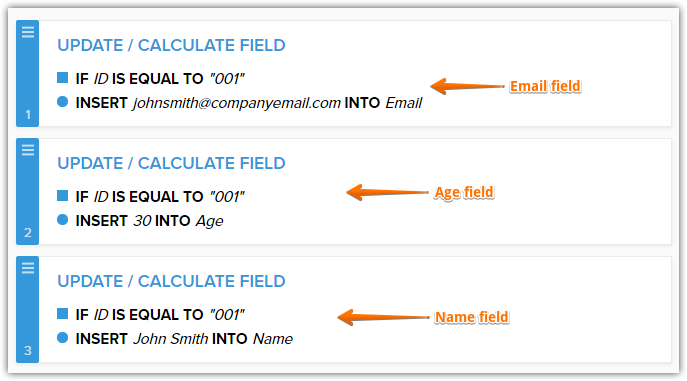 If the value of ID is equal to "001" then "johnsmith@companyemail.com" will be entered in the Email field. Unfortunately, it is not possible to have multiple "do / action" statement in the Update/Calculate Field condition. In the condition wizard, there is no "+" sign or no option to add another "do / action" statement.